Elaine Levenson, CMT Offers 2 Hour Gentle Healing Therapeutic Massage Treatments. Specializing in Reflexology, Acupressure, Shiatsu, Healing Touch, Therapeutic Restorative Massages & Painless Pain Relief to: Head, Neck, Shoulders, Back, Arms, Elbows, Wrists, Hands, Fingers, Hips, Sciatica, Legs, Thighs, Knees, Ankles & Feet. Also massage treatments to Relax the stiffness in muscles caused by Parkinson's Disease. Open Daily 8 AM to 8 PM -- Including Week-Ends and Holidays!!! Get Relief Now - from Back and Neck Pain! Elaine Levenson, is a Licensed Massage Therapist (LMT) has traveled extensively and has world class experience in giving therapeutic healing holistic massages. Elaine Levenson, LMT has over 10,000 hours of practice in massage therapy, achieved during a 18 year time span. She offers the ultimate in soothing relaxation, nurturing and gentle painless pain relief for your mind, body and spirit. Elaine Levenson, LMT has advanced massage therapy training, offering both Western and Eastern modalities. Elaine offers Painless Pain Relief to Head, Neck, Shoulders,Back, Arms, Elbows, Wrists, Hands, Fingers, Hips, Sciatica, Legs, Thighs, Knees, Ankles,and Feet. Elaine Levenson, LMT specializes in intuitive/healing/restorative energy bodywork -- Offering an Amazing Holistic Massage Treatment a: 2 Hour Customized Signature Integrated Therapeutic Healing Touch, Nuero Muscular Therapeutic Massage -- designed for stress reduction and deep relaxation, which sedates and harmonizes the mind and the body. Her massage incorporates: Asian Acupressure, Reflexology, Healing Therapeutic Touch, Range of Motion, Therapeutic Myo-fascial Passive Stretching, Lymph Drainage, Extensive Nervous System Work that restores and re-balances the body's energy so that it is in harmony. Elaine uses Long Gentle Relaxing style Esalen Strokes from the tips of your toes to your fingertips, and if time she uses Hot Stones too. Through her massage treatments -- Virginia Beach Massage Therapist, Elaine Levenson, LMT assists your body to: gently re-balance, rejuvenate, and restore your body's natural state of well being. Elaine Levenson's massage treatments have also helped patients with Parkinson's disease to experience relaxation in their stiff muscles and to experience more ease of movement. Elaine Specializes in 2 Hour Restorative Therapeutic Holistic Massage Treatments -- Designed to Balance Body Fluids, to De-Stress and to Deeply Relax Your Body/Mind and Spirit. ﻿If you ITEMIZE Your Medical Expenses - All of Elaine Levenson's Therapeutic Massages can be used as a ﻿Tax Deduction. 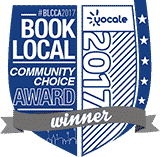 A Virginia Beach Massage Therapy winner of the 2015 Patients' Choice Awards. 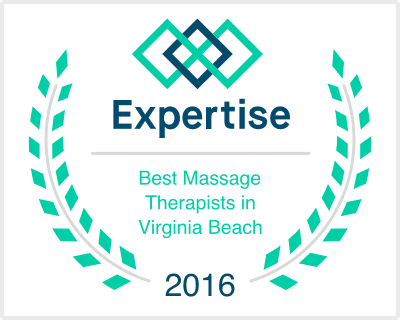 The Virginia Beach Massage Therapy Rankings for 2015: Virginia Beach Massage Therapist, Elaine Levenson, LMT has ranked in the Top 5 among the Therapeutic Massage Offices in Virginia Beach. Opencare’s ranking, it’s an annual review that evaluates over 43 Massage Therapy offices in Virginia Beach, based on patient reviews from Yelp, Google, RateMDs, Yellow Pages, Opencare and many other review sites.